Hemochromatosis is a genetic disorder where the body absorbs and stores too much of iron. This extra iron gets stored in all parts of the body especially the liver and leads to serious complications. The body absorbs about 10 percent of iron (about 1 – 2 grams per day) from food we take and is sufficient for the body. People with Hemochromatosis absorb more (4 – 5 grams leading to 15 – 40 grams per day) than the body needs leading over build up of iron and causing organ failures. There are no specific symptoms for this condition. Common symptoms of hemochroatosis are fatigue, pain in the abdomen and heart problems. These signs are noted in men between the age of 30 and 40 and above age 50 for women. Hemochromatosis is the result of a defect in the gene called HFE. HFE functions in regulating the iron absorption from food. The gene is present at birth but hemochromatosis develops only when both the parents have the defective gene. If it is from one parent, then the person is a carrier of the defective gene and does not develop hemochromatosis. The cause for the adolescent and neonatal hemochromatosis is not known although it is not due to the HFE gene defect. 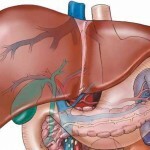 The condition forms a fatal overload of iron and causes liver and heart diseases in both the cases. If the levels are high in the following blood tests, test for confirming the presence of the HFE gene is done. 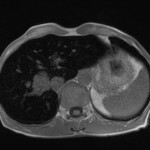 A liver biopsy confirms the presence of this disease. 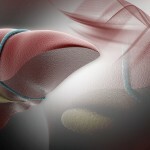 Excessive iron storage is found in liver damaged patients due to alcohol and hepatitis infection. Treatment for hemochromatosis is safe and inexpensive. The best and effective treatment for hemochromatosis is Phlebotomy. It is a process where certain amount of blood is taken out from the body once or twice a week depending on the severity of iron over load. The treatment is followed for few months to a year. 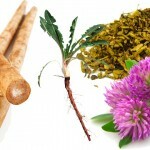 It helps reduce the iron level in the blood to normal and maintain the same. After this, maintenance treatment is given where a certain amount of blood is given every 2 to 4 months for life. The frequency of blood transfusion is based on the blood results every year. 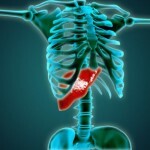 Liked this article on Hemochromatosis Of The Liver and have something to say? Comment below and don’t forget to SHARE THIS ARTICLE!